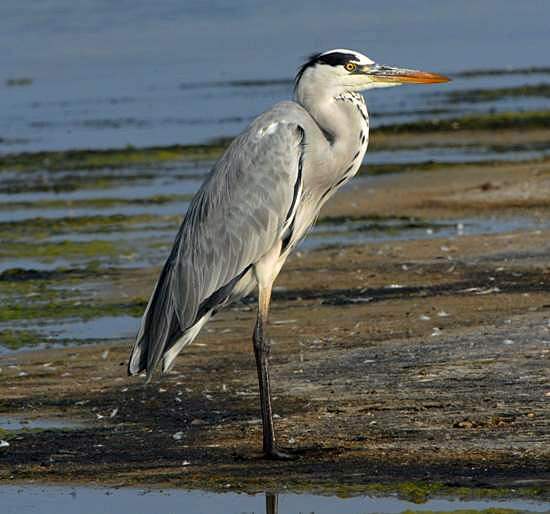 The patient Grey Heron (often called just 'Heron') is a common sight on lowland rivers and lakes in Britain. 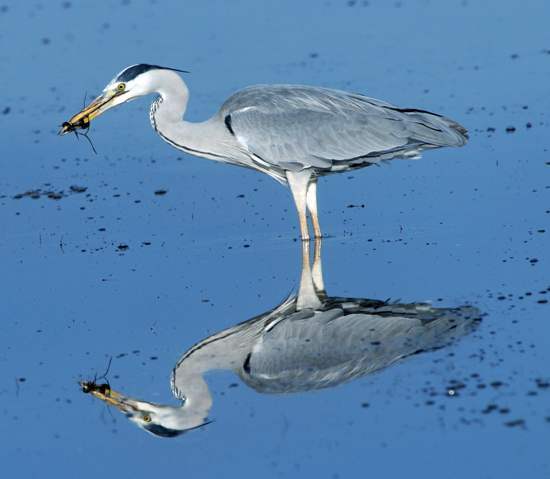 The Heron's diet includes fishes, small mammals, young ducks and amphibians - they find frogs particularly easy to catch at mating time. The numbers of Herons quickly reduce during hard winters when lakes, ponds and slow-flowing rivers become frozen - a time when some Herons do in fact migrate to the coast. Herons breed in communal nesting sites called heronries. These are collections of nests built of large sticks and usually lodged in the tops of tall trees. Often you will see several Heron nests in one tree. Herons will also sometimes nest in marsh or on cliffs. Usually it is the male who collects the twigs and small branches from which the nest is made, while the female does the actual building and guards the nest material to prevent it from being stolen by other members of the heronry.